The success of the Manual Aquavalve (Y Valve) and positive response from the marine industry led our design team to develop the Electronic Aquavalve, which has become a problem solver for many modern marine plumbing installations. 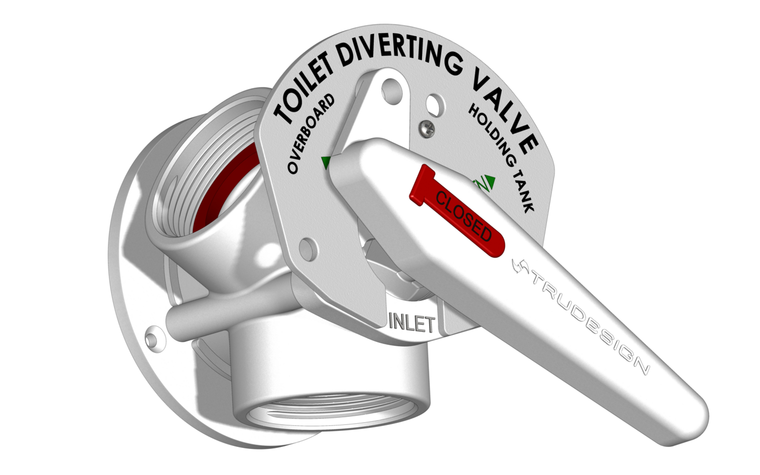 The TruDesign Electronic Aquavalve allows the diverting valve to be operated from a bridge with the push of a button on the supplied control panel. The indicators on the control panel show the current position of the valve. The valve has two positions 'holding tank' or 'overboard'. How to install an Electronic Aquavalve? Can I power / wire up the Electronic Aquavalve without the control panel? Yes you can trigger the Electronic Aquavalve with toggle switches. However you will also need LED lights to indicate what position the valve is in - overboard or holding tank.